Bush, an advocate for literacy, education, and women’s rights, spoke about her years as a teacher at an inner city school in Houston, Texas, USA. She said that reading was not just a cause she supported as first lady, but one of the guiding passions of her life. The wife of former U.S. President George W. Bush (2001-09), Laura Bush has advocated on key national and global issues and launched groundbreaking education and health care programs in the U.S. and abroad. She founded both the Texas Book Festival and the National Book Festival in Washington, D.C., USA. The National Book Festival continues to attract more than 120,000 attendees each year. Bush said the needs of young people are a problem all over the world, where children lack even the very basics of food, shelter, love, and safety. Bush’s remarks resonated with Rotarians. Many Rotary service projects promote early childhood reading or work to increase literacy rates. A breakout session later in the day, for example, discussed success stories from the Guatemala Literacy Project, a 20-year partnership between Rotarians in Maine, USA, and an educational cooperative in Guatemala. 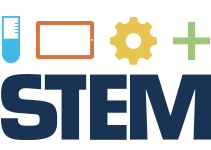 It trains teachers in dynamic teaching methods that engage their students. Trudeau accepted the award at the Rotary International Convention in Toronto, Ontario, Canada. Canadian Prime Minister Justin Trudeau accepts Rotary’s Polio Eradication Champion Award. RI President Ian H.S. Riseley, left, Canadian Prime Minister Justin Trudeau, and International Polio Plus Committee Chairman Michael McGovern. “Canada’s long-standing political and financial commitment helps our dedicated health workers, mostly women, go the extra mile and vaccinate every child to build a polio-free world,” Akhil Iyer, director of the Polio Eradication Programme at UNICEF, previously said. Rotary established the Polio Eradication Champion Award in 1995 to recognize heads of state, health agency leaders, and others who have made a significant contribution to polio eradication. Trudeau is the third Canadian prime minister to receive the award, along with Jean Chrétien and Stephen Harper. Past recipients also include Shinzo Abe, prime minister of Japan; Angela Merkel, chancellor of Germany; Xavier Bettel, prime minister of Luxembourg; Muhammadu Buhari, president of Nigeria; Neven Mimica, European commissioner for international cooperation and development; and Ban Ki-moon, former UN secretary-general. TORONTO (June 27, 2018) — In acknowledgment of his government’s efforts to achieve a polio-free world, Rotary today presented Prime Minister Justin Trudeau with its Polio Eradication Champion Award at its 109th annual international convention. Canada has been a champion in the fight to eradicate polio since 1986, when it became the first government to formally fund global polio immunization efforts. Canada has provided over CAD $750 million in support of a polio-free world, including a $100 million pledge to global eradication in 2017. Earlier this month, Canada, as host of the G7 summit, was joined by G7 leaders in affirming a commitment to polio eradication. Later this week, Rotary will announce nearly $50.12 million in support for global polio eradication efforts in countries where polio is a threat. Since 1988, Rotary has contributed more than $2.3 billion and countless volunteer hours in the fight to end polio, with Rotary clubs in Canada donating more than $66.6 million towards polio eradication. Rotary members throughout Canada travel regularly to polio-threatened countries to vaccinate children in mass immunization campaigns. Polio eradication has been Rotary’s top priority since 1985. In 1988, Rotary became a leading partner in the Global Polio Eradication Initiative, along with the World Health Organization, UNICEF, the U.S. Centers for Disease Control and Prevention, and later, the Bill & Melinda Gates Foundation. Since the initiative launched, the incidence of polio has plummeted by more than 99.9 percent, from about 350,000 cases in 1988 to just 22 confirmed cases in two countries in 2017. About the Polio Eradication Champion Award: Rotary established the award in 1995 to honor individuals who have made significant contributions to the global eradication effort. Prime Minister Trudeau is the third Canadian Prime Minister to receive the award, joining Prime Ministers Jean Chrétien and Stephen Harper. Past recipients also include Shinzo Abe, Prime Minister of Japan; Angela Merkel, Chancellor of Germany; Xavier Bettel, Prime Minister of Luxembourg, Muhammadu Buhari, President of Nigeria; Nevin Mimica, European Commissioner for International Cooperation and Development; and Ban Ki-moon, former UN secretary-general. Actor Russell Crowe and Italian soccer star Francesco Totti attend a special screening of the Oscar-winning movie “Gladiator” inside the Colosseum in Rome, Italy. Proceeds of the event went to End Polio Now. Co-stars of “Gladiator” Russell Crowe and Connie Nielsen walk the red carpet in Rome for a special End Polio Now fundraising event. A 65-foot HD screen was erected in the Colosseum to show “Gladiator” to more than 300 people. A “Gladiator” fan walks the red carpet for a special screening of the movie inside the Colosseum in Rome, Italy. Proceeds of the event went to End Polio Now. Cast and crew of “Gladiator” reunite on the red carpet at the Colosseum in Rome, Italy. Co-stars of “Gladiator” Russell Crowe, Connie Nielsen, and Tomas Arana reunite on the red carpet in Rome, Italy, during a special screening their hit moive. Event organizers distributed End Polio Now seat cushions throughout the Colosseum. The Italian Cinema Orchestra performed the entire soundtrack live to picture with the images, dialouge, and special effects. Conductor Justin Freer led the Italian Cinema Orchestra during the special screening of “Gladiator” inside the Colosseum. Nearly a thousand Rotarians, Rotaractors, and other peace leaders from around the world gathered Friday to discuss the power of peace at the Rotary Peacebuilding Summit. RI President Ian H.S. Riseley, who has made peace a focus of his term, opened the summit at the Metro Toronto Convention Centre. Rotary International’s Presidential Peace Conference opened today in Toronto, Canada, with speakers such as Dr. Tererai Trent and former Rotary Peace Fellow Stephanie Woollard. The summit precedes the Rotary International Convention, which starts Saturday. Four other peace advocates spoke at the daylong summit: Stephanie Woollard, who created Seven Women; Dr. Tererai Trent, founder of the Tererai Trent International Foundation; Celina Caesar-Chavannes, parliamentary secretary to Canada’s minister of international development; and Mike Akpata, Canadian Armed Forces Reserve veteran and town councillor in LaSalle, Ontario, Canada. Each of them gave lessons in peace that resonated beyond the Canadian conference hall. Trent, an author who was born in Zimbabwe and is known for her appearances on “The Oprah Winfrey Show,” described how she overcame poverty and spousal abuse to earn a doctorate in the United States. Akpata discussed his deployment to Afghanistan and was nearly in tears as he recalled the deaths of fellow Canadian soldiers. “One of the things that combat teaches you is what peace is about,” he said. The summit also included a dozen breakout sessions on the various ways Rotary and others can build peace through education, grants, and partnerships. • In the Peace Around the World session, representatives from six presidential peacebuilding conferences Rotary held in 2018 described the results of those meetings. Each focused on one of Rotary’s other five areas of focus or the environment. • Zachary Angelini, the manager of environmental stewardship for Timberland, the footwear and apparel manufacturer, described a sustainable development project in Haiti that showed how for-profit corporations can effectively partner with nonprofits. • Jeremy Dias, founder of the Canadian Centre for Gender and Sexual Diversity, spoke about ways to counter the effects of bullying. Music and dance played an invigorating part in the day’s activities. The summit opened with Red Sky Performance, a Canadian group that mixes indigenous dance, theater, music, and other media. Blending the modern and the traditional, they concluded with a choreographed routine by Dallas Arkand, the three-time world champion of hoop dancing. Aaron Blomme, a former Rotary Ambassadorial Scholar, used a 100-year-old violin crafted in a World War I prisoner-of-war camp to play “Liebesleid” (“Love’s Sorrow”). Deborah Hui accompanied him on piano. The Rotary Peacebuilding Summit continues Saturday with speeches from David Morley, president and CEO of UNICEF Canada; Michelle Breslauer, program director in the Americas for the Institute for Economics and Peace; and Muyatwa Sitali, a Rotary Peace Fellow alumnus. Justin Trudeau, Prime Minister of Canada, will speak at the 2018 Rotary International Convention next week in Toronto. The Prime Minister’s vision of Canada is a country where everyone has a real and fair chance to succeed. His experiences as a teacher, father, leader, and advocate for youth have shaped his dedication to Canadians – and his commitment to make Canada a place where everyone has the opportunities they need to thrive. The oldest of three boys, he grew up with the profound influence of his father, Pierre Elliott Trudeau, and his mother, Margaret Trudeau. He was raised speaking both French and English, and has family roots in both Eastern and Western Canada. This background helped spark his passion for public service and shaped his conviction that diversity is Canada’s strength. Prime Minister Trudeau studied literature at McGill University, graduating with a Bachelor of Arts (B.A.) in 1994. He went on to complete the University of British Columbia’s education program, and spent several years teaching French, math, and other subjects in Vancouver. Teaching allowed him to make a positive impact in the lives of young people. He remains committed to hearing the voices of young Canadians, from the classroom to Parliament Hill. In 2002, he returned home to Montréal, where he met Sophie Grégoire, a Quebec TV and radio host. They married in 2005 and are now the proud parents of Xavier, Ella-Grace, and Hadrien. Before entering politics, he served as the Chair of Katimavik, on the board for the Canadian Avalanche Foundation, and as an advocate for young people and the environment. As a speaker at events and conferences around the country, he encouraged young people to engage with the issues important to them and participate as active citizens. These experiences made it increasingly clear to him that the issues young Canadians care about – education, the environment, their generation’s economic prospects – needed a stronger voice. Prime Minister Trudeau entered politics to make change that would better serve all Canadians. In 2007, he built a community-based, grassroots campaign to win the Liberal Party nomination in the Montréal riding of Papineau. He was elected in 2008, and re-elected in 2011 and 2015. As Prime Minister, he leads a government that works hard every day to build an economy that works for the middle class and people working hard to join it. His team is focused on creating new jobs, fostering strength out of Canada’s rich diversity, fighting climate change, and achieving reconciliation with Indigenous Peoples. A proud feminist, he appointed Canada’s first gender-balanced Cabinet. In 2017, the Rotary Club (RC) of Lionsgate North Vancouver spearheaded a service project in Colombia with support from the RC of Richmond Sunrise and RC of North Vancouver. 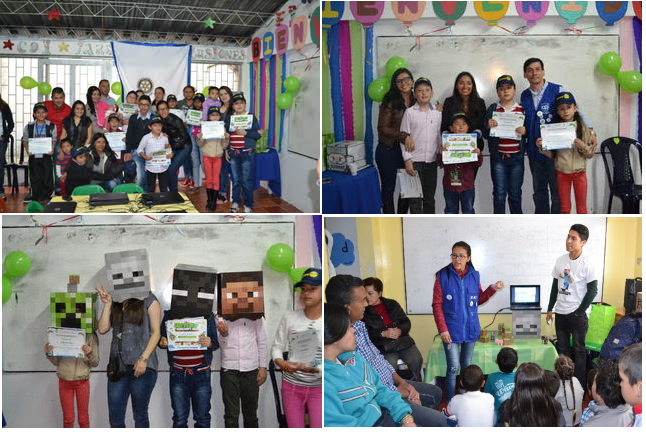 This project brought together various clubs in District 5040 and the Rotary Club of Bogota-Multicentro, Colombia, to provide computer literacy classes to children between the ages of 6 and 10 to further interest in programming and systems. This project came to fruition thanks to the contributions from the Rotary Club (RC) of Lions Gate North Vancouver and contributing RC Clubs – Richmond Sunrise and North Vancouver. Thanks to the mentorship and guidance of past club president Elizabeth Chong – past Vancouver Rotaract club president, Miguel A Rozo – was able to devise an effective strategy to deliver a project that would be meaningful while ensuring the active participation of partners on the ground. 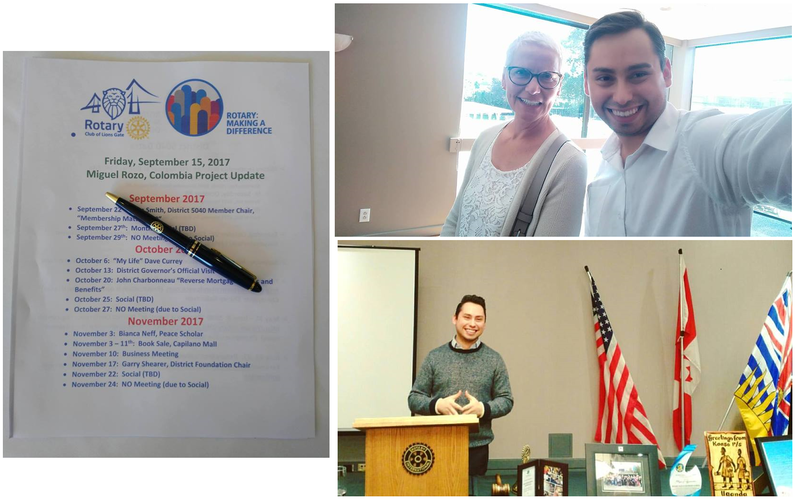 Miguel delivered a number of talks at various Rotary Clubs in District 5040 (British Columbia), RC Lions Gate took an interest in supporting an endeavour to empower youth in Colombia through education as a means to support peace. The search for support began during the time of peace talks between the FARC armed group and the Colombian government, which eventually culminated with a peace treaty that ended hostilities between both sides after over 50 years of fighting. The road to peace includes healing, and a commitment to make education accessible to all, including youth and the most vulnerable. As a formerly internally displaced refugee from Colombia, Miguel experienced the Colombian conflict closely and learned first-hand the importance of education to empower youth. In addition to the contributions from Rotary Clubs, Rotary District 5040 also approved a district grant, bringing the total amount fundraised for this project to $5,000 CAD. Fundraising for the Colombia education project in 2017. Elizabeth Chong and Miguel A. Rozo pictured above. We hope that this will only be the beginning of a longstanding friendship between our respective Rotary Clubs in Canada and Colombia. Yours in Rotary.